In the late 13th century, William Wallace (Mel Gibson) returns to Scotland after living away from his homeland for many years. The king of Scotland has died without an heir and the king of England, a ruthless pagan known as Edward the Longshanks, has seized the throne. Wallace becomes the leader of a ramshackle yet courageous army determined to vanquish the greater English forces. 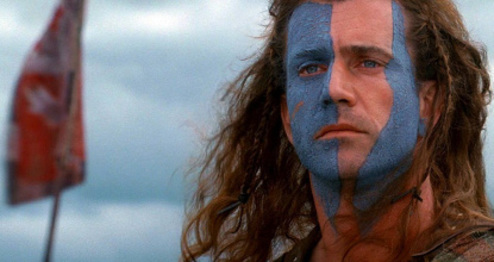 Wallace's courage and passion unite his people in BRAVEHEART. Mel Gibson directs, produces and stars in a film combining action, intrigue and romance to tell the story of the legendary Scottish knight, Sir William Wallace, and the love that inspired him to fight for his country's freedom.